The Kentucky Guaranteed Rural Housing (GRH) Loan Program is designed to assist households in obtaining adequate but modest, decent, safe and sanitary dwellings and related facilities for their own use in rural areas. Loans are limited to applicants with incomes that do not exceed state and local Rural Development (RD) median income limits and property that is designated as rural by Rural Development. No Down Payment Required. Borrowers can finance up to 100% of the appraised home value or a borrower can have a gift or grant go toward a down payment with no money out of pocket. Competitive 30 year fixed interest rates. No maximum purchase limit. 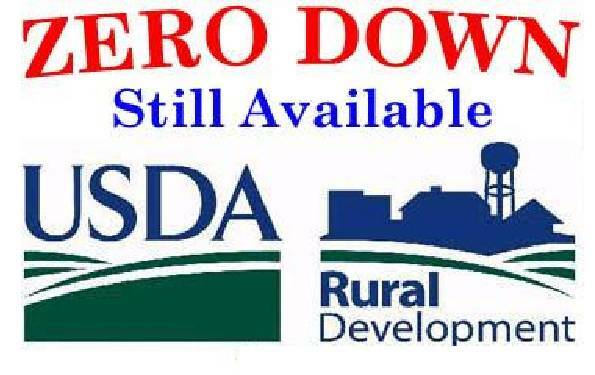 The USDA Rural Development program has no maximum purchase price limit. Individuals or families who plan to occupy a home located in an eligible rural area as their primary residence may qualify for a USDA Rural Development home loan. An applicant for the KentuckyUSDA mortgage guarantee loan must provide sufficient income verification and a credit history that indicates an ability and willingness to meet repayment obligations. An individual or family must show proper legal capacity to own property in the U.S.A., own no home or dwelling currently, and have insufficient resources to qualify for a conventional home mortgage. Under the GRH Loan Program, housing must be modest in size, design, and cost. New Manufactured housing must be permanently installed and meet the HUD Manufactured Housing Construction and Safety Standards. To verify eligibility for a GRH Loan, property eligibility and income eligibility must be obtained. *Note: Some guidelines may have changed since the production of this presentation. Kentucky USDA and Rural Housing Apply below by clicking link.